What are the Benefits of Salesforce CRM for Your Small Business? For any sized businesses, one must have a robust CRM system that can increase the overall effectiveness and revenues for your business. Now, the first question that hits your mind is the choice of the CRM system. The selection of an ideal CRM system is vital for the business success that can manage the leads, create opportunities, manage your customers, improves the overall customer experiences, and boosts the sales. According to the report published by the Gartner, The CRM market expanded by 12 percent that signifies that people everywhere do rely on CRM systems to manage their businesses. With the success of cloud-based CRM system, Companies started moving towards cloud solutions and they are able to explore just the endless opportunities like never before. Today, Companies can market their product or server over the cloud and able to reach more customers that were not possible earlier. Most customers use social media sites to search product details and contact you directly if they like your product. Now, most of the transactions are carried online so businesses need to showcase their products e-way and the best option is the Salesforce. This is a pioneer CRM system in the IT industry that helps you to grow your business online immensely. In the rest of the article, we will explore the benefits of Salesforce for your business. 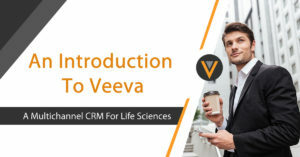 Before we dive deep into the topic, let us first discuss the facts you should focus on while deciding on the CRM system for your business. It should be available for all business instead of their sizes and even for non-profit organizations too. Don’t forget to check the price structure before you purchase any CRM. The CRM system should have the benefits like leads, opportunity, and sales management. The CRM should be able to automate the workflows, business processes, approvals, triggers etc. It should be able to integrate with Email or Social media platforms. The capability of a CRM system to customize, integration with third-party tools, and new feature implementation. Compatibility with devices and other popular platforms. As per the recent survey, Salesforce is rated as the best CRM system for 2018 and it is suitable for small businesses too. Most importantly, it matches the all parameters as mentioned earlier. It has the capability to manage conversions, sales, opportunities, report generation etc. Also, you may enhance your business processes and install third-party apps too from AppExchange. The best idea is to take help from Salesforce consultants to make most of the benefits from a cloud-based CRM system. 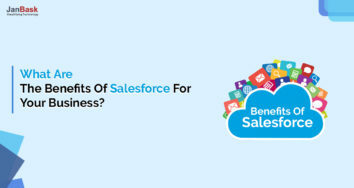 This is the right time to dive deep into the topic and discuss how Salesforce benefits for your business. With the help of the community cloud, you can collaborate with your customers, vendors, and employees more effectively. You could manage content for your portal effectively and answer each of the queries as soon as it arises. Also, you can create cases that can be assigned to the agents to escalate solutions based on workflows. Also, you can improve the customer service level that boosts your sales appropriately. With the help of the marketing cloud, you can manage various campaigns effectively and automate the lead generation process with the help of social media platforms. Also, you may shoot emails and track the progress of campaigns to make relevant improvements. Ultimately, you are able to reach a maximum number of customers in minimum time. One of the major benefits of the platform is artificial intelligence capabilities that help you to derive meaningful insights from the available data. Also, the market forecasts are more accurate and logical. Einstein does the analysis job more effectively and gives you proper recommendations for your business. For businesses, nothing is more important other than customer relationship management. With Salesforce, you can track the marketing campaigns progress status and integrate effective marketing tools too. It also helps you to develop basic marketing strategies that can be improved over time. Most importantly, it helps in real-time report generation. When available with voluminous details, this is easy to communicate your customers and access data in the real time. With social media insights, you may boost the productivity, your team performance, quotes and more. Through Salesforce, all conversations can be connected and you can pick from the same point where you left in the past. This is the best way to deliver personalized customer services and keeps your customers happier. Also, give an immediate response to your customers for each of the queries. Salesforce offers an easy and intuitive UI that can be quickly understood by the customers. Also, the setup guide is available easy format and readable too. Salesforce custom solutions are suitable for almost all organizations instead of their sizes. It is built to support Salesforce customizations and configuration for the complex business model at minimal costs. With Salesforce cloud, data access and data storage are manageable even if you don’t have access to files on your system. The data can be accessed anywhere on the go with a simple internet connection or you can take help from Salesforce implementation partners to make the things easier for you. There is force.com platform to design and develop mobile enterprise apps. With the help of AppExchange, you may access applications in the cloud that are similar to your business needs and requirements. A few people are hesitating in utilizing cloud CRM because they are not sure of the security of the system. The chances of security breaches are higher for on-premises data storage. The best idea is to opt for secure storage solutions that match your technology needs. Salesforce promises higher security standards with 100 percent uptime and dedicated IT management too. Salesforce loud storage is 100 percent safe following all security standard and providing you a completely safe IT environment. Also, cloud businesses should make secure data centers that can be managed independently even if it is used by thousands or millions of tenants. 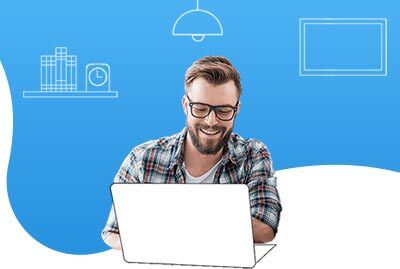 Salesforce has secured IT environment that complements your business products and services and taken as a pioneer solution for the IT industry. Further, data cannot be accessed in the cloud, if data authentication details are not accurate. Third-party interference is not possible when cloud apps are managed properly. Most of the business owners using cloud apps are confident in their products or services and take maximum benefits from the system. The benefits of the platform don’t end here but they are just the endless when you actually implement and configure it. 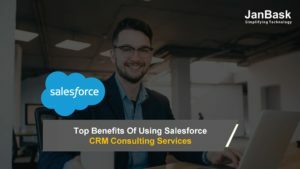 You just need the proper Salesforce consulting services that can help you in making the most of the Salesforce customizations and configurations. There are expert Salesforce consultants providing out-of-the-box business solutions to take your business to the new heights like never before. With so many benefits, Salesforce is your best implementation partner to expand the business while maintaining an effective relationship with your customers. 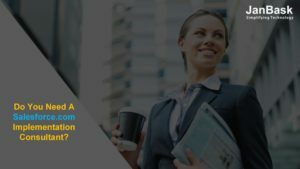 Do You Need a salesforce implementation Consultant?